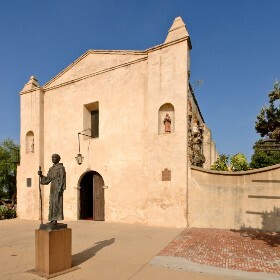 Father Serra: Junípero Serra helped build many of the 21 missions in California. He was bitten by a snake and died in 1784, at the age of 70. This statue of him is in front of the San Gabriel Mission in Los Angeles.